We have a huge collection of Valentine’s Day Formals at Dallas Vintage Shop. The Glamorous Valentine’s Day Formals shown on our site range from Hollywood Vintage Style Fashions to Sleek and Sophisticated Formal Gowns. 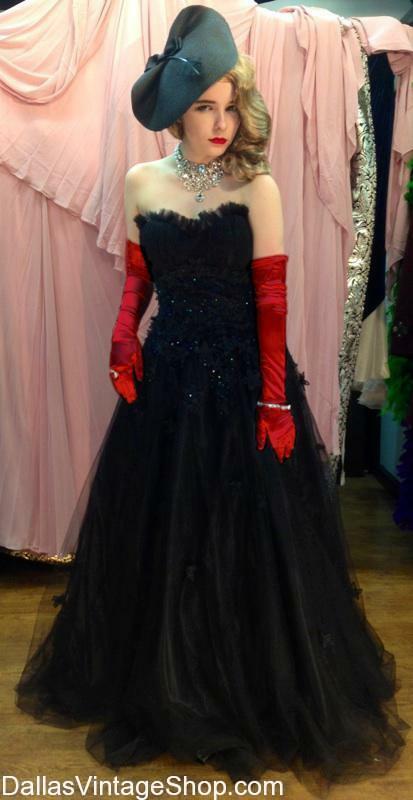 This Formal Gown is just one of the many Valentine’s Day Formal Dresses we keep in stock. We have Modern Formals and Vintage Formals for your Valentine’s Day Events. High Fashion Valentine’s Day Formal Galas, Vogue or Vintage Formal Ballroom Dances and other Valentine’s Special Occasions. Our Valentine’s Dresses include Fashions that are Couture or Simply Sleek, Old Hollywood Glam and Red Carpet Show Stoppers. Remember that we also have the Valentine’s Jewelry, Wraps, Shoes, Evening Bags and other accessories that match the period or style of Valentine’s Day Formal you choose. Get an entire Valentine’s Outfit or just the pieces you need. This entry is filed under Valentine's Formal Attire. You can follow any responses to this entry through the RSS 2.0 feed. Both comments and pings are currently closed.